Home»All»Kid Friendly Restaurants Near Discovery Green… Where to Eat After Visiting the Downtown Park! Kid Friendly Restaurants Near Discovery Green… Where to Eat After Visiting the Downtown Park! So… you just went to Discovery Green for Toddler Tuesday or one of the many family friendly (and free) events… and now you are ready to eat. Where can you eat within walking distance of the downtown park? Look below for the family friendly options and the map. If you have a favorite spot on the east side of downtown… let us know! Located right inside Discovery Green, this is the easiest option when you are at the park. It is fast park food… so tacos, burgers and chicken tenders. 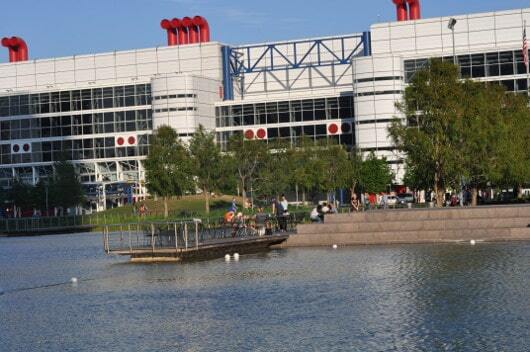 The best part is that it is usually pretty fast (once you get through the line on busy park days) and you can sit right on Kinder Lake at Discovery Green. Also, this restaurant has an ATM (for when you are at the Flea Market at Discovery Green but have no cash) and a restroom that is usually in better shape than the nearby Discovery Green restroom. 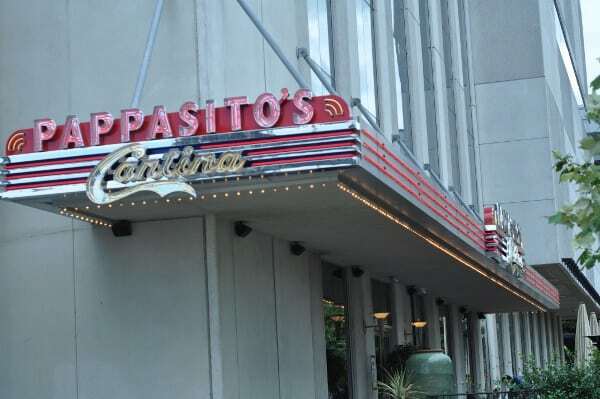 If you want a kid-friendly sit-down meal, head across the street to Pappasitos. This restaurant is located right inside of the Hilton Americas, between Discovery Green and Toyota Center, and can be accessed through the lobby or from the street. Pappasitos has the same food you get at other locations. Also across the street from Discovery Green, but with the entrance on the far side of the One Park Place tower, is Phoenicia. This is the foodie’s grocery store that is casual enough for the Discovery Green crowd. 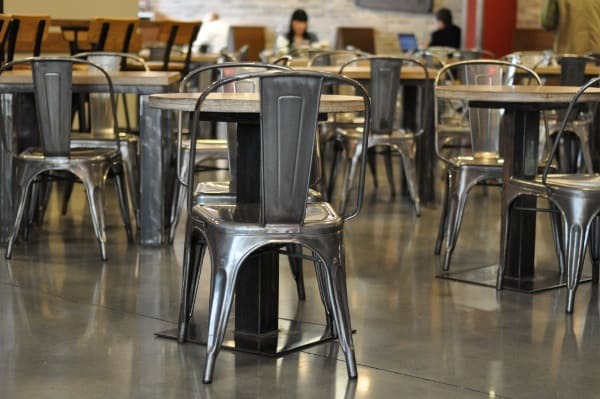 Inside Phoenicia you can go shopping, pick up many freshly prepared meals at the deli counter, grab coffee and cookies, or sit down at their MKT BAR. 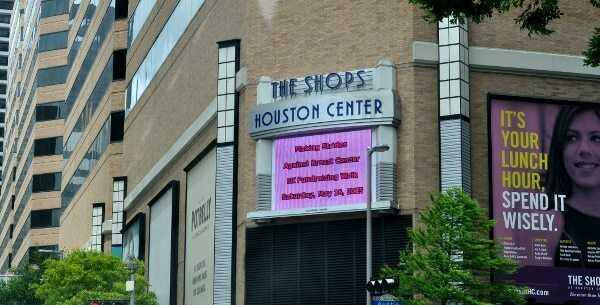 Across from Phoenicia, a block from Discovery Green, are The Shops at Houston Center. Here you can find several little shops (like pharmacies and convenience marts) and a food court. 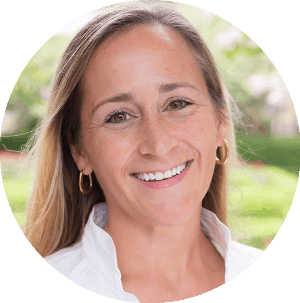 Choose from several options, including fast food like Chick-Fil-A, or sit down restaurants! Since the Super Bowl came to town, a whole lot of new dining options are available by Discovery Green at Avenida Houston! If you are looking for more Houston restaurants, look below!